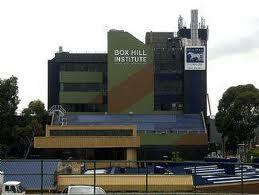 Mr Norman Gray AM has been appointed as the new Chief Executive Officer of Box Hill Institute and the Centre for Adult Education. He will take up the position on 14 July. Mr Gray is currently the Chief Operating Officer and Executive Director of Network Operations of Public Transport Victoria, a State Statutory Authority. In this role he is accountable for the business relationship with, and performance of, all contracted public transport operators in Victoria. He joined Public Transport Victoria, after resigning from the role of Chief Executive Officer and Managing Director of Thales Australia, a large systems engineering company and leading edge provider of solutions for the commercial and defence sectors, with a turnover in excess of $1B annually. Prior to this, Mr Gray had completed a long and distinguished career in the Department of Defence. He served in The Royal Australian Air Force, having held several significant leadership positions and rising to the rank of Air Vice Marshal. Positions held include Deputy CEO Defence Materiel Organisation; Head, Airborne Surveillance and Control division; Director General Aerospace Development. He is a Fellow of the Australian Institute of Company Directors, Master Project Director of Australian Institute of Project Management and was a Member of the Business Council of Australia (2006-2008). Mr Gray has obtained a number of qualifications including postgraduate qualifications in Corporate Leadership and Strategy. He also holds qualifications in aviation, management, administration, air navigation and engineering. Norman has a Diploma in Company Directorship and is a Graduate of the Company Director Advanced Program. Norman has held a number of Board positions including Non-Executive Director of Royal Flying Doctor Service; Non-Executive Director of Institute of Telecommunication Research; Member of the Air Force Capability Management Board and a Member of the Defence Audit Committee. Suzanne Ewart, Chair of the Board of Box Hill Group said Mr Gray’s “exceptional skills and experience will provide leadership to further grow and develop successful outcomes for our Institute, our students and learners, and our industry customers and partners”. The position has been filled by Joe Piper, formerly CEO of South West Institute of TAFE , following the sudden resignation of Box Hill’s longstanding CEO John Maddock last December.